I was up at 1.30am picked up my mate Andrew from Lilydale and then headed to my nephews place at Pipers River, where we changed vehicles and left by 3am. No one at the ramp on arrival and we thought this could be either good or bad. With that in mind, we launched the boat and headed to one of our stripey spots. First one “no go” so we moved to the next spot where we picked up six, so we decided to try the other spot that was close by and caught the rest. 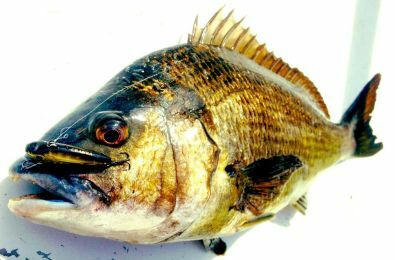 We also caught some Jackass Perch and Ocean Perch. There was a Mako swimming around the boat about 70 kilo’s, so threw him a bait which he took, had him on for a while until the trace broke,.. so off he swam for next time. All in all nice little trip back at the ramp by 11.30am. 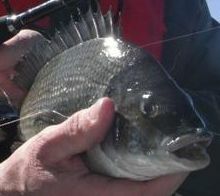 Went to Swansea today with a couple of friends, chasing bream on lures. We arrived at 8 am to 5 knots of wind and had our first bream in the boat within 10 minutes. By the end of the day we would have caught 40 or 50. 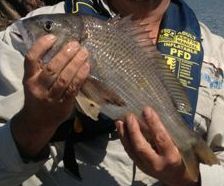 The Longford Fishing Club held a bream fishing competition on the Scamander River today. Johnny Dekkers is a member and invited Jacob and I to tag along. Although we are not members (and therefore not eligible for entry into the competition side of things), we decided we would still go along as a bit of company for John and do our own thing. Mike Stevens also found himself a late minute inclusion. We had a magnificent weekend away up the coast with the family and Johnny this weekend just gone. My wife somehow had another weekend off work (which never seems to happen) so I decided to take them away to our block up the bay. We hit the road around mid-morning Saturday and slowly made our way to the magnificent NE Coast. We was in no hurry to arrive, as the plan was to do a spot of Breaming in the afternoon and basically just relax and enjoy the weekend. 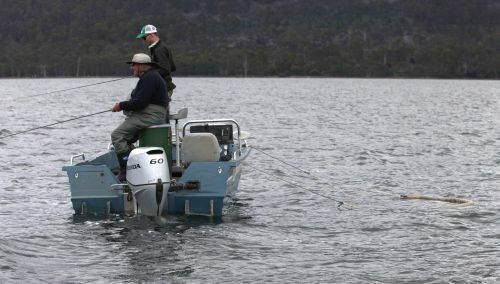 A mate rang me during the week and told me to try and get Thursday off for a day’s fishing. It didn't take me much to accomplish that part of the mission, so with that organised I rang back to make the plans for a trip to the Swan River. As it happened, my mate was now unable to attend this “planned outing” due to circumstances beyond his control (he is a big girlie man), so the only thing left to do was try and talk Trev into having a day off school. 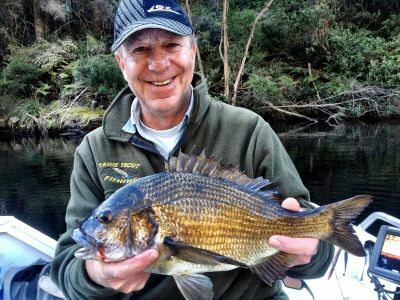 Feels like years since I have posted a bit of a report, so I thought I would share a couple of recent trips Johnny and I have had to the East Coast chasing a few Bream. 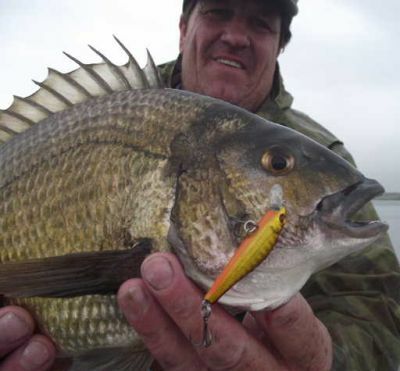 Our first trip was early last week where we decided to head down for a look around to see what the Bream were up to. Mark Tapsell and I left home at 6am this morning to chase Striped Trumpeter off Bicheno. 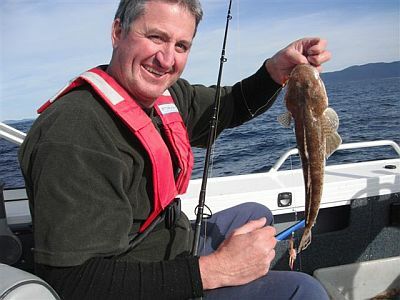 They beat us today, but we still managed plenty of Jackass Morwong and Flathead. The boat clocked up nearly 80 Klms .. before we found the "honey hole," where the fish were abundant. Do you fish around Maria Island? My name is Sarah Pendred and I am an honours student from the Australian Maritime College. I am currently researching the application of stakeholder preferences in the management of the Maria Island Marine Nature Reserve. I will be looking at preferences of 4 groups of stakeholders; researchers, fishers, managers and environmental NGOs. Read more: Do you fish around Maria Island? 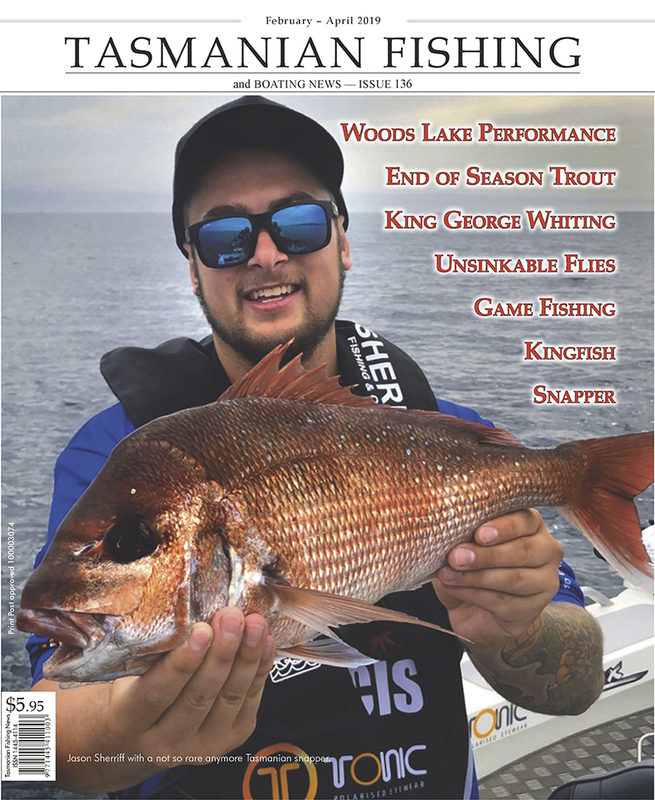 I am passing on a report from Danny Jacobs who fished out of Eddystone point on the weekend with Josh Hammersley and his daughter Chloe on the boat Hammerhead. 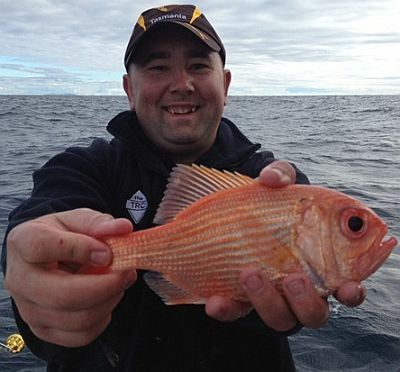 Also fishing with them was Shaun and crew aboard Master Baiter and Jason and his crew aboard Predator.